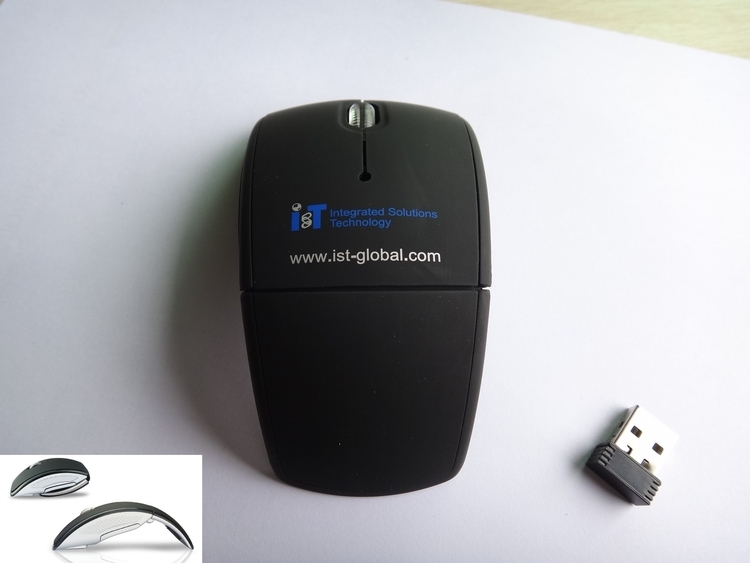 2.4 GHz wireless mouse folds up for easy portability! High-precision optical sensor technology. Ergonomic arc design attracts attention to your logo! Package: 1 pc/box, 1000 pcs/ctn, 22 lbs/ctn.